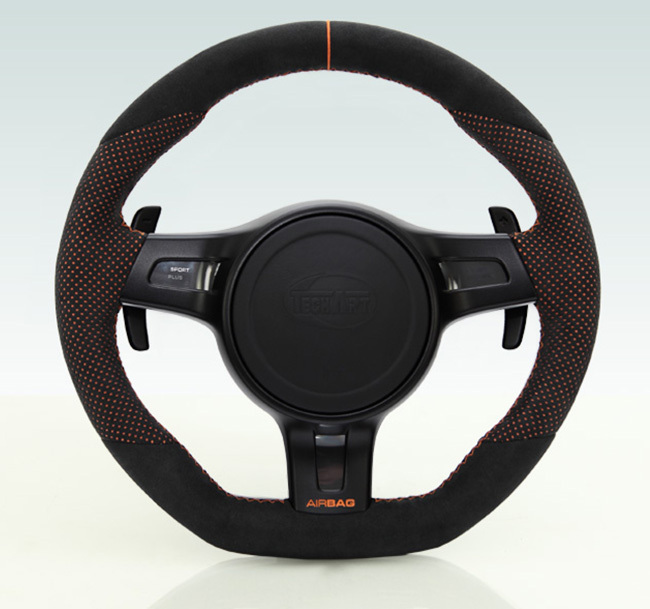 TECHART steering wheels are pure individuality. Each leather-cover is sewed by hand in artisan perfection. *Available only for vehicles with PDK transmission.